During our Mediterranean cruise last week we stopped at the French island of Corsica, birthplace of France’s great emperor Napoleon Bonaparte. Despite never returning to his home island of Corsica, Napoleon is still the island’s most famous son. Especially in Ajaccio, the town where his birth house can still be visited, his likeness is used to market almost anything! There are museums, monuments, statues, and not to forget all the souvenirs that carry his name or face. Hotels and restaurants also like to use his name, like the ice cream place that has him selling gelato. 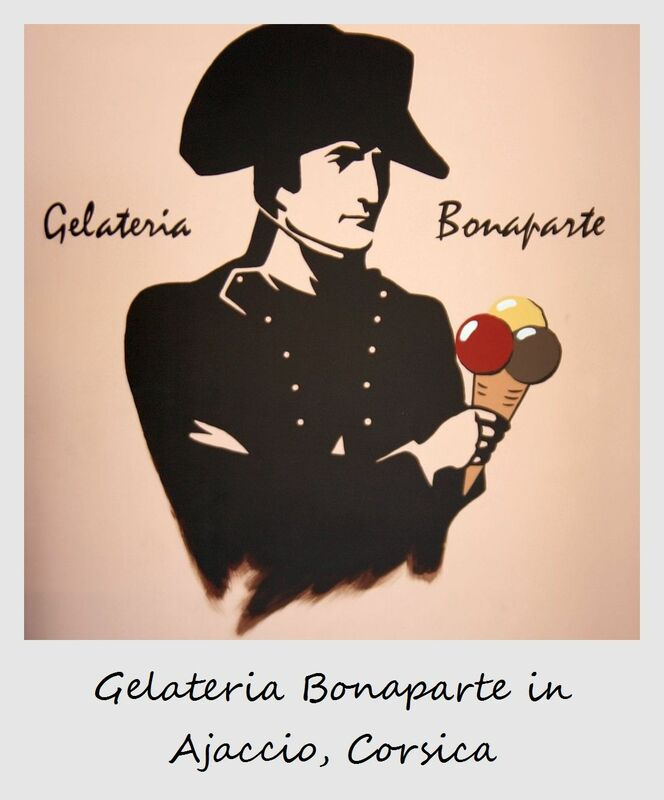 So did Napoleon really like Gelato? We are sure that even with his many ‘complexes’, he did! Ha ha! In Corsica he sells Gelato, Pizza, is the face of many a pub…Napoleon is huge in Corsica! Hi Pascal, thanks for stopping by – we loved Corsica (not just for the gelato) and we will definitely be back for another visit!